This is Sri Guru charitram’s short & sweet version. This is written by Sri.T.S. Padmanabha Sharma. This is like a concise version of Sri Guru Charitram. I find this very easy to read, it covers all the important stories/events of the Main book. So, I thought of sharing this with you all. By Sai’s grace, I will be posting 1 chapter everyday. Kindly read with full devotion & faith & get success in life. May our Sai lead us in the right path & fulfil all our wishes. I would also like to thank one of my good net friend Renuka Mohan who has given me an opportunity to post this concise version Guru Charitra in our Sai DwarakaMai. Baba Sai bless you and your family Renuka . This work has 51 chapters to mark the 51 Thursdays in a year. It is a tradition to give a linear reading (Parayan) of this book every Thursday for a year and dedicate it to Sri guru. Sri guru charitram covers Sri Datta Avatar of Lord MahaVishnu, followed by Sri pada Srivallabh in Andhra Pradhesh & Sri Narasimha Saraswathi swamiji in Karnataka. Read one chapter of this book every Thursday & offer Pooja to Sri Guru or Datta’s photo or idol. Let us all pray Lord Ganapathi, goddess Sarawathi and Brahma, the creator to bless us. Salutation to Lord Maha Vishnu in His divine grace, adorned with Shankha, chakra, Gada & Padma. May lord shiva, the easily pleasable one bring us peace & prosperity. Salutations to all gods, great sages Vyasa, Valmiki and other poets. Let them shower their blessings to relish the nectar of anecdotes dedicated to Sri guru of Ganagapur. Sri guru chartitram was originally composed by Sri Gangadhara Rao sakhare, a great devotee of the guru. His parents Devaraya and champadevi were also ardent devotees of Sri Datta bhagawan. The Sakhare family were staunch devotees of Sri Narasimha saraswathi Swamiji of Ganagapur. They were fortunate to get blessed by the guru in their life time. Sri guru chartitram is a sacred book to be read by all those who want peace, happiness & prosperity. Wherever it is read, Sri guru manifests himself with his divine fervour. Those who read this work with divine love shall master all their senses, achieve worldly success & spiritual happiness. This is divine master in book form. Sri Narasimha saraswathi Swamiji manifested in Ganagapur. His fame spread like the fragrance of a flower in surroundings soon. Who can stop fragrance to spread? He was respected by the people of all faiths, caste & creed. Whoever prayed Him, had His blessings ready to pour on them. He was easily accessible to a poor man as to a prince. “Sri Guru Deva! A mere remembrance of your name brings happiness & peace. I always trust you, adorn you in my heart, chant your name always. But why do I suffer from poverty and misery? “You are extolled as the sole protector of hapless, by puranas. Did you not hear me?”. He was in child like tears. These sincere prayers reached Sri Guru Deva. He gave darshan to Namadharak. The devotee cried like a child and touched Guru’s lotus feet. He offered all possible respect & pooja to the divine master. The divine master, pleased by Namadharak’s sincere prayers stood by him. Later He led him in the divine path pf Bhakti, Jnana & spiritual discipline. Here ends the 1st chapter of Sri guru Charitram. Namadhark set out to Ganagapur after this divine incident. On his way, he was resting under a tree. Tired he was, he slipped in to sleep. He had a dream. A yogi clad in tiger skin, adorned in neck with Rudraksha mala, brilliant in looks appeared in the dream. Namadharak prostrated before the great Gurudev. “Oh! Great one! You have appeared to remove my ignorance. You have filled in me the divine light & happiness. I feel my sins have dissolved. Who are you in reality? Shall I know your name? Where do you reside? Please tell me” asked Namadharak innocently. The great one smiled at him & spoke in a gentle, firm & divine voice. Sri Narasimha saraswathi Swamiji. He is my master. He is very courteous & kind to all. He blesses them with whatever they want” said the Yogi. Namadharak was in surprise. “Swamiji, my ancestors were ardent devotees of the great Guru. I also continue to be so. But I am a poor unfortunate one put into lot of hardships. The great master can only solve my problems, I believe.” He said in pain. The yogi narrated the guru’s previous avatars, on his request later on. Four vedas Rig, yajur, sama & atharvana evolved from Brahma dev. Eighteen puranas manifested later. Bhagavan Veda Vyasa is also an avatar of Lord Narayana. He popularised & preached the puranas through his disciples. Lord Mahavishnu, after the great dissolution of the universe, slept as an infant on a banyan leaf. Brahma evolved from his navel. He made Brahma the creator. Vishnu ordered Brahma to continue the work of creation. Sanaka, sanadhana, sanat kumara, sanat, sujatha were manifested. Gods & demons were created. Four time divisions 4 yugas emerged. Krita yuga was called Satya age as lies did not exist then. It was an age of knowledge, sacrifice,divinity & goodness. There was no place for evil forces. The form of Satya yuga asked the creator: “How can I get into earth, full of cheating, violence, non-truth and abuses?” Brahma ordered him to be there for some time & return. Later came Treta Yuga, where Yagnas were prominent. People were ritualistic & honest. This was followed by Dwapara Yuga, where virtues(punya) & sins(Paapa) were Dwa-para equal. At the end of Dwapara, the present Kali age started. Kali stood before the creator as an ugly, old, cunning one. “Tell me Oh! Deva! What are my duties? “ Brahma asked back “What are you holding in your hand?” Kali replied: “It is the human tongue & Lingam. I can win over the world by using these two weaknesses of humans.” Brahma designated Kali with the management and discipline of this era. Deterioration of Dharma is the basic nature of this era. War, indiscipline, mistrust, jealousy prevail in abundance. The learned and the enlightened do not get basic respect. Brahma continued: “Life span is very less during the kali age. The benefit of pooja, tapas, yajnas are easily gained. Help them to do so” he added. Brahma replied: “Do not panic.Meritorious people are in less number there. You will not affect the attainment of the noble and the good. Those who respect the Brahmanas, the cows and Gods shall not be your victims.” He concluded. “Only serving a guru can solve worldly troubles. Guru is the saviour always from evil effects of Kali age”, he added. He narrated an illustrative episode on the greatness of Guru. There was an ashram on the abnks of the river godavari. A Brahmin by name Tailaputra was teaching Vedas to his disciples there. One day he called his disciples. He told them to look after his hermitage, as he was going to Kashi for penance. He wanted only one disciple to accompany him. Sandeepaka readily agreed to guru’s orders. They started their journey. Both halted in an ashram on the bank of Manikarnika. Guru fell sick. He wouldn’t eat anything. The disciple went to beg for alms. The guru threw the bowl and screamed at him. But Sandeepaka continued to serve him. Lord shiva appeared there. He prayed for guru’s health. Shiva agreed to bless him. The guru said “Do not bother to resolve my sins. I have to enjoy their results. I shall suffer. No need of divine help”. Lord shiva returned. Lord Vishnu manifested thereafter and promised a boon. Sandeepaka refused and asked Him just to give him guru’s grace. It was readily granted. Sandeepaka related this to the guru. Guru blessed him with the choicest of blessings. He laid his mortal coil in Kashi. Thus spoke Brahma to Kali on guru’s greatness. Here ends the 2nd chapter of Sri guru charitram. thank you Renuka. Sai datta bless your family always. Vinesh this is being mailed only for you. “Revered guru, I experience divine ecstasy in your presence. May I know where are you from? Please accept me as your chela & oblige”. He prostrated before the yogi. “I reside where my guru asks me to do so. His grace is my breath. Look here, gurucharitram describes His greatness. Reading this holy book for 7 days solve any one’s problems. This is truth of experience”. The yogi lead him to a peepul tree & narrated gurucharitram to him. “Forget the worldly miseries, always remember sri guru. Guru can bless you with anything under the sky. Do not doubt this. Concentrate on Him. He shall relieve you of all agonies”. The yogi smiled & continued, “This world is temporary. Do not trust in immediate pleasures & pains which come & vanish. Aspire for divine, eternal happiness & peace. Gurucharitram will certainly bless you with this…Listen”. During Kali age, the god does not manifest directly. He comes only in human form of guru, that is His will. Brahma, Vishnu Shiva represent the combined divine & destructive forces. Brahma creates the world, Vishnu looks after the beings, shiva dissolves it. Datta deva is an embodiment of all the three divinities. The yogi continued: “King Ambarisha of solar dynasty was a great devotee of Lord Maha vishnu. He was observing the Ekadashi Day consistently. Once Sage Dhurvasa visited him. Ambarisha was happy, welcomed the sage & offered him ritualistic reception. “OH! great sage! Please wait a moment. Ekadashi has come to an end. I shall return after a sacred bath & would be pleased to offer food to your divine self, the sage also went to Ganga to have bath. On his return, Dhurvasa found Ambarisha sipping the holy water to break his fast. He was raged. He cursed him to be born as an animal, which would not observe any formalities, Lord Mahavishnu knew this & came to the rescue of his devotee. “A sage’s curse nefer fails. I shall accept the curse in your place. Maha Vishnu gracefully accepted the curse & made Ambarisha free. He requested “Oh Lord! Please assume avatars on earth to save the noble & kill the evil ones.” Sri Hari agreed to take ten avatars. The fish, tortoise, pig, man- lion & so on to honour Dhurvasa’s curse. Similarly the lord assumes Avatars at His will. This is the divine secret. He took Datta avatar to save Sage Atri & His wife Anasuya, a devoted one. Here ends the 3rd chapter of Sri guru charitram. Baba Sai bless Vinesh. Thanks to our dear Renuka. Sai bless them both abundantly. Namadharak prayed the yogi who called himself a sidda without revealing his identity, to narrate him the story of Bhagwan Sri Datta Deva. The sidda happily replied him. This cosmic world is created at his will. There was water every where. The supreme god wanted to bring life into it. He generated a golden egg, Hiranyagarba. This split into two, one space & the other earth. Lord Brahma manifested fourteen worlds of existence, ten directions manifested later. Brahma manifested seven great spiritual masters. They were creators of the latter universe. Marichi & Atri were the first among them. They were enlightened ones from birth. They were called Prajapathis. Atri married Anasuya. The couple wanted Lord Vishnu himself as their son & did severe penance. Meanwhile, the chastity of Anasuya was respected even in heavens. Devas were jealous. The trinity wanted to test Anasuya’s chastity. They manifested before sage Atri’s ashram in human form. Sage Atri was not present then. Anasuya welcomed the guests. They requested like children: “Mother! We want the food we desire”. Anasuya agreed to do so. She made the food readily to offer them. But the guests had an unpalatable, strange request. They said “We want you to serve us without any clothes on”. Anasuya couldn’t refuse the Athithi’s request. She agreed & went in. From her power of chastity, she turned the strange guests to three infants each pretty fondlings of divine looks. She later kept each one of them on her lap & fed them with her breast milk as infants need only the mother’s milk. She put them to sleep in a cradle. Sage Atri after his return to the ashram discovered this & realized the trinity. He prostrated before them. Anasuya’s chastity had brought the trinities there. She requested her husband that they shall continue to be her sons. “Let it be so” Atri blessed. Lord Brahma appeared as moon. Shiva manifested as sage Durvasa. Lord Vishnu appeared in His Datta form. Hence the name Dattatreya. Bhagwan Dattatreya stayed there for a while, initiated Anasuya in the spiritual path and started off to the eternal penance. Chandra and Durvasa the sage, left for the sky and the penance respectively. Here ends the 4th chapter of Sri guru charitram. Baba Sai, cure our Vinesh. Please Baba. Thank you Renuka. Sai bless your family always. Siddamuni narrated the avatars of sri viashnu. The Lord took ten avatars, honouring Durvasa’s curse to king Ambarisha. Sri hari’s intention was to save the noble & remove evils from the world. Thus during Krita yuga, he took Avatars from Matsya to Parashurama. Treta Yuga had Sri rama to look after the good. Dwapara witnessed how Lord Krishna saved Pandavas in the Mahabharata war. Sri Bhagavad gita was delivered by the Lord Himself as a guide to life for all ages. Dwapara era ended and Kali entered. People had become corrupt, restless & jealous of one another. They had scant regard to Darma, scriptures & lived an animal life. All evils of kali era had made the life of noble people miserable. The Lord did not manifest directly. Hence he decided to send great gurus to earth to save Darma. Pitapuram in East godavari district of Andhra Pradesh was ruled by a noble king. There was a Brahmin by name Appala Raja living with his wife sumathi. The couple were great devotees of Sri dattatreya. It was an amavasya day of Badrapad month when Lord Datta manifested before the couple as a guest. It was shrardha day of elders of Appala Raja. He had invited some Brahmins for food. They failed to turn up due to floods in Godavari. The couple who were in distress were much happy & surprised to see a guest glowing with divine aura. They served him food. Datta Deva accepted the food and asked them to seek a boon of their choice. Oh! Great one! You called me Amma. Please be my real son. I have lost my sons, but two sons I have are blind & lame. Please favour me, she cried. The couple were wonderstruck. They waited for the great happening. On a holy day, the Lord manifested as sumati’s child. He named him sripada. Sripada had his formal education. At sixteen, the parents pulled him into the worldly affair of marriage. He said, “No! Iam already married to a girl named vairagya(Renunciation). Do not compel me. Hereafter I shall be called Srivallaba.” His decision was firm as Bhishma’s vow. The parents were unhappy. But they could not stop the divine one. Before going to penance, He blessed them with perfect health of their handicapped sons. Srivallaba left to North. He reached Benares & lived there without being recognised for several years. Then he went upto Badrinath. He saw Narayana & came back to south & reached Gokarna. Here ends the 5th chapter of Sri guru charitram. Baba sai bless our Vinesh soon. Baba bless Renuka and her family always. Siddhamuni continued to narrate the glory of Srivallabha. When he reached Gokarna, many prostrated before him and became his disciples. His divine looks, blessing eyes and soft spoken words made them happy and spiritually enlightened. The noble and the right thinking people followed his teachings. The wrong doers realized their folly and changed for good. He selected Gokarna for it was a great place of Lord shiva, where He manifested as Atma lingam. The story of gokarna goes back to tretayuga. There was a sage by name Pulastya. Kaikasi was his wife. The couple were great devotees of Lord shiva. Without offering daily pooja to shiva, they wouldn’t eat anything. Ravana was one amongst their sons. He also was a great shiva Bhakta. Kaikasi could not find shiva lingam on a certain day for worship. Therefore she made a sand lingam and offered pooja to Lord shiva. Ravana told his mother that he would bring down the atmalingam, the spiritual energy of shiva from Kailash. Ravana reached Kailasa Giri and decided to move the mountain to Lanka. Lord shiva realized this and pressed the mountain with his left thumb. Ravana was shocked and pained. He prayed Lord shiva to grant him his atmalingam. Ravana offered his head many times by cutting. He made his intestines as strings of rudra veena and began prayer to shiva. Pleased by this lord appeared before him & granted him a boon. The demon king didn’t ask anything. He wanted atmalingam & nothing else from the lord. Shiva had to oblige this staunch devotee. He gave him atmalingam. The Lord also warned him not to keep it down. Ravana agreed & started towards Lankanagiri. Devas had to use a cunning plan knowing all this. They requested Lord Ganapathi to cheat Ravana before he could reach home. Lord Vishnu sent his Sudharshana charka to stand against the Sun. It appeared to be an evening. As a Brahmana, he had to perform sandhyopasana. Sage Narada met Ravana & chatted with him quite long. Meanwhile ganapathi assumed the form of a boy & appeared there. Ravana wanted someone to hold the atmalingam till he completed his evening rituals. Ravana saw the Brahmin boy searching firewood & thought he could help him. Narada went to seashore to perform Sandhyopasanam. Ravana could only request the boy to hold lingam till he came back. The boy insisted that he should come back very soon as the latter had some urgent work. Ravana readily agreed. After a while Ganapathi called Ravana twice. Before he could return he called him third time & placed the lingam on the seashore. Devas were extremely happy at the wisdom of Ganapathi to avoid wicked Ravana to take the most respected Shiva lingam to Lanka. Ravana was raged and thrashed the boy who soon disappeared. Then he tried to pull out the lingam from the sands. It was so firm that he could only twist it. Then the lingam appeared as Cow’s ear (Go-Karna). Hence the name Gokarna for this sacred place. Ravana went back angrily upon Gods. Thus Gokarna is the most sacred and ancient siva kshetra to visit. Here ends the 6th chapter of Sri guru charitram. Baba Sai kindly cure our Vinesh and bless him to have long life. Sai bless you and your family Renuka. Siddhayogi continued to narrate the greatness of Gokarna Kshetra. There lived a great king Mitrasaha in Ishvaku (Solara) dynasty. His wife Madayanti was a very good woman. Once king Mitrasaha went to the forest for hunting. Some demons attacked him. The king killed some of them & returned to the palace. One of them escaped. He then came to the king’s palace & joined there as a cook. On the Srardha day of King’s father, he mixed human flesh in the food and disappeared. Sage Vasishta was invited for the ceremony, he discovered this & cursed the king to be born as a monster. Vasishta’s curse hurt the king Mitrasaha and he was ready to curse back the sage. On the advice of the queen, he spilt the holy water on his feet. His feet turned black. king Mitrasaha turned a monster & was called Kalmasha Padha, the black footed. The queen begged the sage to pardon her husband. But the curse couldn’t be nullified. However Vasishta was kind enough to give him a human form after several years. Kalmashapada lived in the forest in the form of a monster. He was killing & eating the passers by. Once he killed a brahmana & his wife cursed him with death when he touched his wife. She cremated her husband and joined him in death also as ‘Sati’. Vasishta’s curse came to an end. He recalled the brahmani’s curse and did not touch the queen. On the advice of his guru, he decided to go on a pilgrimage to relieve off his sins. The king met Sage Gowthama on his way. He blessed him and advised him to go to Gokarna and worship Lord shiva Mahabhaleshwara there. Then, he would get out of the curse, he added. Sage Gowthama continued. He said Pooja offered to shiva on Amavasyas, Mondays, Wednesdays, eclipses yield endless results. Offering Bilwa leaves to the Lord on Maha shivratri day is very auspicious. Sage Gowthama quoted his own experience. Once an old woman fell sick at gokarna. She died after a day. A celestial vehicle arrived in the skies and took her to shivaloka. Yamadootas failed to take her as she breathed her last in gokarna Kshetram. The old lady was Sowdhamini by name in her previous birth. She lost her husband. Due to poverty, she turned a woman for pleasure. She lived with an idiot, got a child from him. Once she even ate the meat of a calf. After her death, she had to go to hell. Later, she was born as a blind woman. She begged & earned a living. At last she reached the gokarna Kshetram. Mahashivratri was being celebrated with pomp & pleasure there. The begging woman did not get alms as it was a fasting day. During noon, one of the pilgrims gave her a bunch of Bilwa leaves. The woman threw this on a Shivalingam out of anger that she could not eat those leaves. This act of the beggar woman relieved her off her sins. She attained Moksha. Such is the greatness of gokarna Kshetram. Here ends the 7th chapter of Sri guru charitram. Namadharak listened to siddhayogi’s narration of the sanctity of Gokarna Kshetram. He asked him, how long Sri Pada sri vallabha yati halted there & blessed good souls. Siddhamuni replied him that sripadayati spent 3 years at Gokarna & moved on to Sri Sailam. After 4 months, he proceeded to Kuruvapura. Sri Pada sri vallabha yati blessed several good men & women in Sri sailam & kuruvapura. There was a woman by name Ambika there. She had no children. Those born would die soon. The couple observed several rituals and pleased gods. Later they had a son. They named him Narahari. He was initiated at seven. But he showed no inclination to any vedic learning. Parent’s trials were in vain. The Brahmin died. The mother & the boy stayed thereafter. Since he was idle & lazy, no one gave him alms. They told the mother to get him married. Both the son & the mother decided to drown in full flooded Krishna river. Meanwhile Sri Pada sri vallabha manifested there. He stopped them. The mother asked the guru to bless her with an intelligent son at least in the next birth. The guru spoke gently “ Mother! You please worship Lord shiva. Pradhosha pooja of Lord shiva is very powerful. Even Lord Krishna was the son of Yashodha as a result of this vrat. There is an episode connected to this Vrat. Once Chandrasena ruled Ujjain. His friend Manibhadra was a devotee of Lord shiva. Shiva had given him a pearl necklace. This he presented to chandrasena. The king was always adorning it. Even enemies could not face him. They all united once & attacked him. The king was immersed in Shani pradhosha pooja. Some cowherds looked at the king doing Shiva pooja. One of the boys worshipped a mud lingam. Shiva manifested before him. He granted him a temple. The cowherd’s small house turned a grand palace. He became the chieftain of cowherds. His mother was very happy. Sri Pada sri vallabha narrated this to Ambika and advised her to perform Shiva pooja & blessed her. Ambika and her son performed shiva Pooja as narrated. After some time the dull boy turned a scholar. Both the mother & the son prostrated before the guru. He was honoured by all. Here ends the 8th chapter of Sri guru charitram. 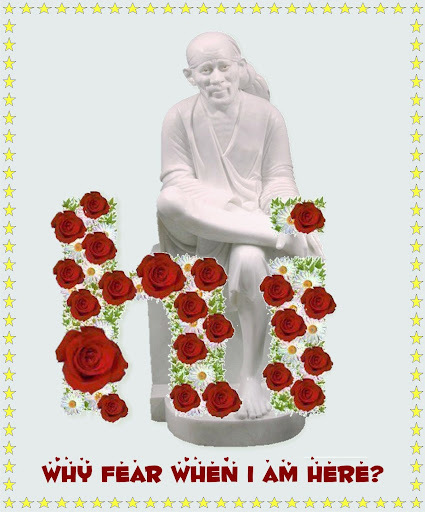 Vinesh Baba sai bless you soon. thanks renuka for giving me an oppurtunity to share the small version GC with all at Spritualindia. Siddhayogi continued to narrate Sreepada sreevallabha’s greatness to Namadharak. When the master arrived at Kuruvapura, many fell into his spiritual path & got His divine blessings. There was a washer man among his devotees who was a daily visitor to the guru’s place. He bathed in Krishna river, had Dharshan of Sree Guru and went to do his work. Once the guru was meditating on a rock in Krishna river. The guru approached him in deep water and bowed to him. The master blessed him “You shall be a king”. “Gurudeva! As you blessed shall it happen” he said and went for his routine. The washer man started offering service to the master in wiping his ashram, looking after the cows and other odd jobs. It was an afternoon of Vaishaka. The prince of the region arrived at Krishna to bathe and for water sport with his wives. The washer man seeing this, thought, the king is the happiest one indeed. I do not know when I might be a king as the Guru has blessed. When he later visited the guru’s place, the guru smiled and asked him. What were you thinking today while at work in the river. He revealed his thoughts. Sri vallabha yati replied: “You shall not aspire now for such pleasures. Let that be. You shall be born as a muslim king near Bidar. We shall meet once again when I shall manifest as Narasimha Saraswathi. Do you want to be happy now or later? He smiled. The washer man could not answer the master’s question. He replied after a moment’s thought. “Oh My master! Enough of this life. I want to die. So saying, he laid down his mortal coil. Later he was born as a muslim ruler in Bidar as the guru predicted and blessed. Thus Sreepada sreevallabha yati blessed many of various caste, creed and religion. He spent most of his time at Kuruvapur. The master decided to end his avatar. He chose the 12th day of Ashwayuja, Mrigasirsha star & disappeared from this world . But his spiritual body even remains now. We can find Gurusthanam at Peethapuram. Here ends the 9th chapter of Sri guru charitram. Baba Sai kindly bless Vinesh and cure him soon. Thanks Renuka for making me post this concise GC version. Sreepada Srivallabha’s glory inspired Namadharak. He asked siddayogi whether the guru still manifests in spiritual form there. The siddha replied by narrating more about the guru’s greatness. The great master could manifest anywhere, anytime in any form to any one he chose. Here is one such incident. There was a Brahmin by name Vallabhesha. He lived by doing a small business. But he never missed the rituals ordained to a brahmin. Everyday he would visit Kuruvapura to have Guru’s dharshan. Once he prayed the master like this: “If I procure more profits, I shall feed 1000 brahmins”. He earned a huge profit then. To repay his words of promise, he came to Kuruvapura with the necessary material to feed one thousand people. Vallabha had to cross a forest to reach Kuruvapura. He traveled in the night to reach the master’s place fast. He was waylaid by robbers who killed him and took all he had. The great master learned this and manifested there as a yogi. He saw the cut body of Vallabhesh. People gathered in large numbers. He asked one of them to apply the holy ash to his severed head and trunk. To his surprise, Vallabhesha was reliven. The robbers turned blind, returned the booty and asked for the Master’s pardon. Vallabhesha could perform his wish at the feet of the guru. Thus sri guru always exists in Kuruvapuram. His grce shields the devotee against danger. Here ends the 10th chapter of Sri guru charitram. Thanks to Renuka and Sai bless her family always. Siddhayogi was impressed by the devotion of Namadharak in listening to guru’s glory. He continued. Shiva pooja done in the evenings of the 13th day yields wonderful results. Hence the name Thrayodasi pooja. There lived a couple in a village Karanja near Bidar. Madhava & Amba were devotees of Lord shiva and observed Thrayodasi pooja with out a break. Amba delivered a male child. the baby recited “Aum” instead of the usual infant’s cry. Every one was wonderstruck. The elders predicted that the child would be a great saint in the future. He may become a sanyasi and can solve many people’s problems, they added. The members of the house hold were too happy and infact prostrated before the new born baby. The child was named Shalagrama deva and Narahari. He was an unusual child always deep in meditation. He would not speak any thing other than the sacred AUM. The parents were panic as they feared that he would turn dumb. They consulted astrologers & doctors. It was futile. Narahari was initiated at the age of seven. As the day of Brahmopadesham approached the parents were afraid whether he could pronounce the Gayatri mantra properly, as a dumb boy. “Amma! You offered me Bhiksha. I shall be an ascetic. Here I go”. The mother stopped him. She was in tears. “Oh! Narahari! Why do you turn a monk? Do you not look after us?, she asked. “Amma! I am a sanyasi by birth. The whole earth is my family. There are so many others to be helped. Please allow me to go”; he insisted like Adi shankara. The mother told him that the sanyas is the fourth state of life. After Bramacharya one has to marry, later go to the forest and at last attain liberation by sanyasam. Narahari with a smile on his face then preached the significance of sanyas to Amba. Here ends the 11th chapter of Sri guru charitram. BABA SAI BLESS VINESH SOON. Thanks Renuka for giving me an oppurtunity to share GC with Spritualindia.Baba bless you. The author of the book has asked us to remove the link or seek permission from publishing it on net. Thus I will move it to Archive section. Please contnue to post and move this to relevant board. We got permission from the Author.